Wary of cyber snooping, the government could ban e-mail services such as Gmail and Yahoo for official communications by December this year in a move to safeguard its critical and sensitive data. The government is expected to route all its official communication through the official website NIC's email service. The Department of Electronics and Information Technology is drafting a policy on e-mail usage for government offices and departments and the policy is almost ready. The department is now taking views from other ministries on it. 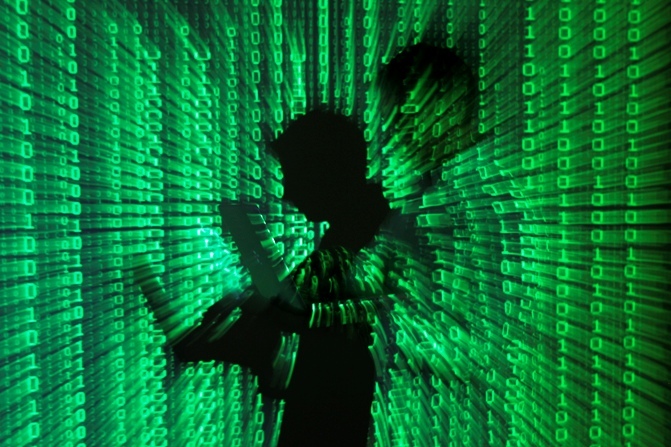 Image: An illustration picture shows a projection of binary code on a man holding a laptop. "E-mail policy of the government of India, as this policy will be called, is almost ready and we are taking views from other ministries on this. “Our effort will be to operationalise it by mid or end-December," DEITY Secretary J Satyanarayana told reporters on the sidelines of a Confederation of Indian Industry summit. According to official sources, the policy seeks to protect the large amount of critical government data. It also aims to make it mandatory for government offices to communicate only on the nic.in platform rather than commercial email services like Gmail, Yahoo, Hotmail etc. Image: A magnifying glass is held in front of a computer screen in this picture illustration. The policy is expected to cover about 5-6 lakh Central and State government employees for using the email service provided by National Informatics Centre. On investments required for the policy, Satyanarayana said: "We immediately require about Rs 4-5 crore (Rs 40-50 million) to ramp up the NIC infrastructure. But, the total investment needed for the full operationability of the e-mail policy could be around Rs 50-100 crore (Rs 500 million-Rs 1 billion)." This will also include integrating the e-mails with cloud so that official data can be saved on a cloud platform, which can then be easily shared with the concerned government ministries and departments, he added. 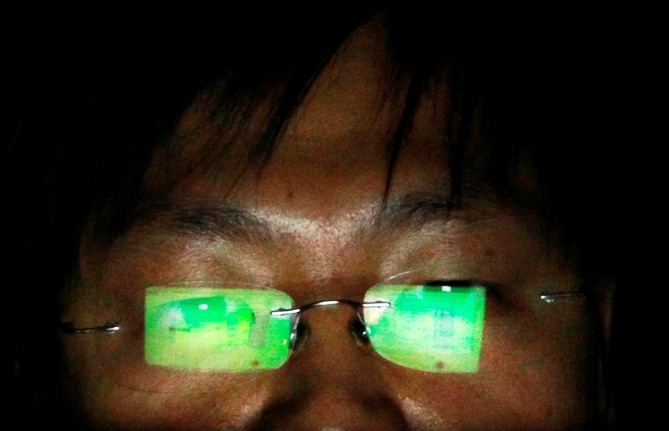 Image: A hacker, who requests not to have his name revealed, works on his laptop in his office in Taipei. 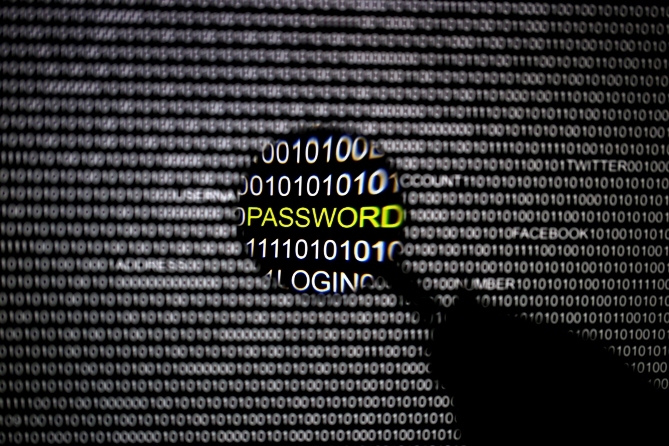 The development comes close on heels of concerns being raised by a section in the government, especially intelligence agencies, over use of email services, provided by foreign firms (mostly US-based), which have their servers located in overseas locations, making it difficult to track if sensitive government data is being snooped upon. The move also assumes significance in light of the fallout of the Snowden saga, which contended the US intelligence agencies used a secret data-mining programme to monitor worldwide Internet data to spy on various countries, including India. Former technical contractor for National Security Agency and Central Intelligence Agency Edward Snowden had leaked what was allegedly details of a top-secret American mass surveillance programme, which led to countries analysing the safety of their official Internet-supported communication networks. 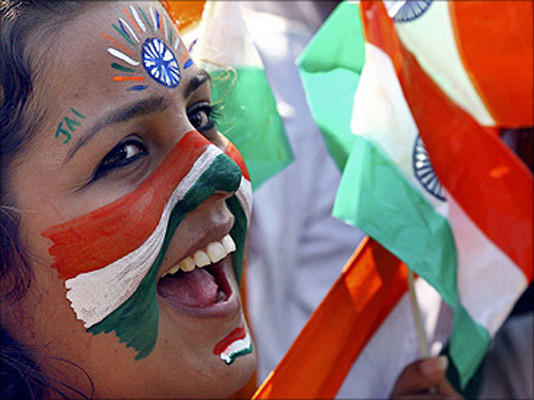 Image: A college student cheers after getting her face painted with the tricolour Indian national flag. How much freedom Indians have on the Internet?